We believe everyone deserves to experience the benefits of simple and clean eating. And that includes our pets. 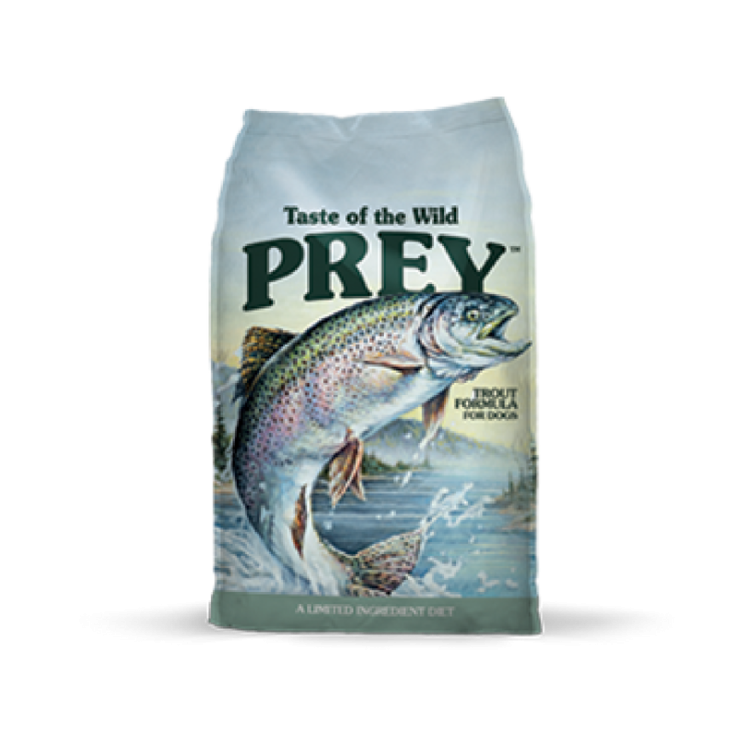 Limited ingredient diets, such as Taste of the Wild Prey Trout Limited Ingredient Formula, may also be easier for some dogs to digest. In this simplified, limited ingredient recipe, spring-fed trout is the first of just four key ingredients. Along with sunflower oil, trout also provides omega fatty acids that help maintain skin and coat health. Species-specific probiotics further support digestion, while guaranteed levels of antioxidants and DHA help support overall well-being. Finally, carefully selected vitamins and minerals ensure your dog is getting the balanced nutrition he requires with the unique taste of trout he’ll crave.